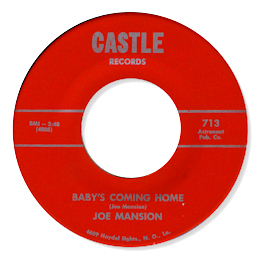 For those who like their music rough and raw – even crude – here’s a wonderful example from the unknown Joe Mansion. Baby’s Coming Home is less of a song more of a jam fuelled by Mansion’s hoarse cries of delight and his own stinging lead guitar. There’s a wandering tenor sax in there too and a squeaking trumpet and when the horn section comes in there’s at least one of them out of tune. But the track does have an undeniable power. It came from New Orleans.